It’s been more than 4 months since my last Bang for your Buck in standard. Looking back at what I said about Dragon’s of Tarkir, I realized I was a little naive to say that the set wouldn’t make big splashes in standard. Cards like the Dragonlords, Den Protector, and the Commands have really changed how we play the format, not to mention how many of the cards such as Collected Company have shaped Modern. Today I’ll be talking about my picks for white and blue, but before that let’s take a look at what I thought would make some movement this summer by the time Origins was released. Citadel Siege – I thought it would see some play in RW aggro/tempo decks, but it never really took off and reached $2 like I thought. Not a big loss though. End Hostilities – I thought End Hostilities would be the go to card for control decks, but UB took off higher than UW did. There’s so many types of board wipes now that it’s not likely we’ll see a lot of movement from this card any time soon. 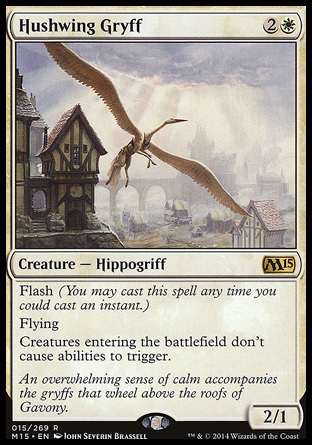 Hushwing Gryff – I’m surprised this card is at $1 in the USA now. It’s been holding steady in Japan at 400 yen for a while now. Seems underpriced and underplayed, especially considering how many Atarka ramp decks there are. Monastery Mentor – I said the card still had a few more dollars to drop from $20, and I was right, but I thought it would go back up sooner rather than later. Still called it though. Soulfire Grandmaster – another card I was right about. I believed it would hit around $10 this summer before going up again. Wingmate Roc – big miss on my part. Thought it would see more play in Abzan decks, but it was totally thrown by the wayside. It halved in price from $6 to $3, a huge gap from the $8 I thought it would be. Chained to the Rocks – Good call on the sell. It went from $2 to $.50. Hero of Iroas – another good call to sell. Went from $5 to $1.50 due to lack of Heroic decks being played. Nyx-Fleece Ram – This card’s value has held up remarkably well, but I wonder for how much longer. I thought it would be reaching bulk prices by now. Banishing Light – Wasn’t a big loss, but I said the price would go down and it dide. 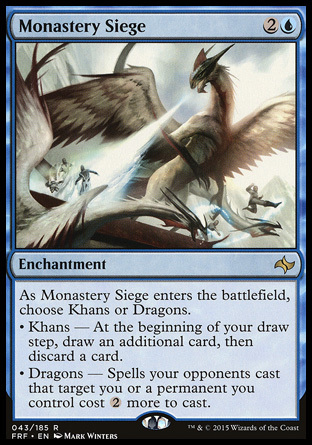 Monastery Siege – I didn’t expect much from this card but said it was a good pick up at $.75. Not bad at that price, but went down further. Still think it’s a good pick up for the future. Ensoul Artifact – “A good pick up at $1.25” I said and I stand by that. It’s hitting its bottom now. Frost Walker – I said it could see more play, but didn’t expect much out of it. Master of Waves – I said to sell at $7.50 and if you did you made a little bit of cash. It’s only worth $4, which means you could pick them up again for much cheaper and still keep a profit. Thassa, God of the Sea – I said to sell at $8.25 because I didn’t see blue seeing much play in DTK standard and I was right. She’s dropped to around $5.50 which I expect her to stay at after rotation. We continue to learn how this new way of set releases and rotation schedule will affect MTG prices as a whole, and in my opinion it’s becoming harder and harder to guess what the next card to spike will be. The main reason for this is the sheer number of tier 1 decks, as well as playable decks overall. Instead of a few decks playing the same card over and over and pushing the value of that card unnaturally high, now we have a secondary market that is more affordable for players but also leads to huge spikes when a card makes it big. Today I’m going to focus more on cards I think will become staples that are currently underpriced. I believe that by doing this, it will be easier to maintain their value and get you a return on your investment over the long term instead of trying to pick a card that will spike then quickly lose its value again. Anafenza doesn’t see much play at the moment in standard, but she’s an important part of the Abzan company deck in Modern, and I believe that White Devotion might finally see some play in standard this season. I am also a firm believer of her in my GW Company deck, and think she has a variety of other uses. I would pick a playset of her up at her current price of $2 if you haven’t already. 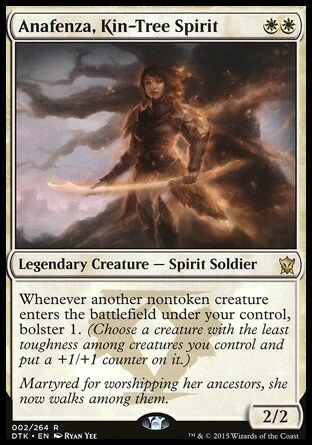 She can easily be a 4 of in some standard aggro decks, and is at least a 3 of in Modern company decks. 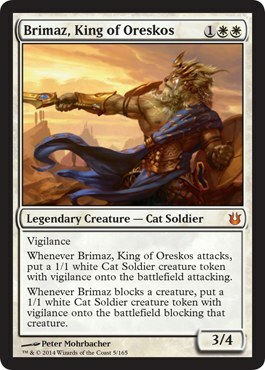 If we have any type of creature combo deck that could put tons of non-token creatures on the battlefield at one time (Allies in Battle For Zendikar?) she could really take off on value. It will be slow at first, but I think after rotation and towards the end of the first Zendikar set she’ll double in price to $4 if not more. I sold my extra ones at 2800 yen a while back, but I could be tempted to pick some up again if he hits $5-6 around rotation time. He’s seen some play in Token decks, but might see some other play after rotation in other decks as well. He’s currently at $10, so I say wait until he gets to the $5-6 range to pick up a few extra. I think he’s a going to be a good spec target. Mythic Rare, small set, 3 mana . . . you won’t see a big return on it right away, but later on you could really pull in some profit if he ever makes it big. Lots of people have been picking up Gods that have been laying around in dollar bins for the past few weeks, and I think if you wait until rotation to pick them up you won’t be able to find them. 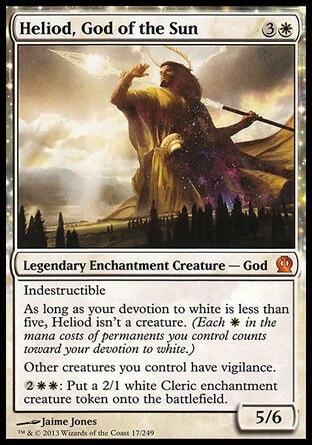 From sheer casual and EDH players alone Heliod has gone from a $1 mythic back up to $2.25. I feel like most of the gods will fetch $4-5 a few months down the road, so he wouldn’t be a bad pick up if you can find him at $1-$2. 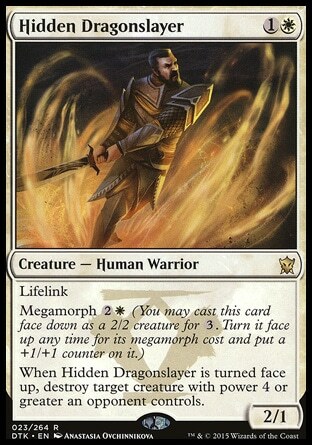 Besides being a good card in the GW Megamorph deck, I feel like Hidden Dragonslayer is greatly under appreciated and it’s current $1 price tag proves it. It’s very rarely irrelevant. It hits all of the Dragonlords (Ojutai when attacking and can’t be countered! ), takes out Whisperwood Elementals, and even hits a powered up Goblin Rabblemaster. Everybody is expecting Eldrazi to be back, and as you know there are NO small Eldrazi. Hidden Dragonslayer could end up seeing a lot more play in both sideboards and main boards this fall. I think it’s a good buy to get 4 at $4 now. I’m already seeing it pop up a lot more in white decks in Nagoya. I was wrong last time, mostly because there weren’t many white decks it could fit into during the last season, but due to all of the Rally the Ancestors Decks seeing play now, I think it will have one last time to shine in standard. I also believe the card will find its way into the sideboard of some eternal decks eventually (either Legacy or Modern) and that picking them up now at $1 each will be warranted. Do you need 4? No. But I think picking up 3 at $3 is a good idea. 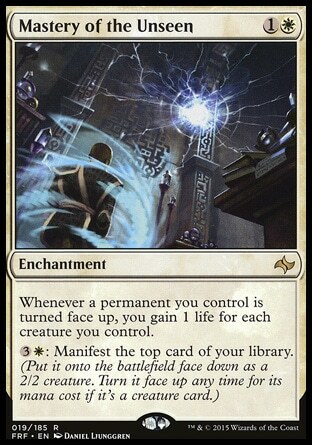 Mastery of the Unseen is another undervalued card at $0.75 that I think could become a sideboard staple in white decks, as well as a 4 of in GW Mastery/megamorph and white devotion decks. It’s good against Ugin, and good against control as well. I’d pick up a playset at this price. I wouldn’t be surprised to see it go up to about $2-3 towards the end of autumn. Last time I said to wait for him to drop to about $15, and now that he’s reached it (currently $14.50) I think it’s time to pick him up. I originally got mine for about $22 because I wanted to play with them in a deck, but I’m not worried about losing what I payed. I expect this card to slowly inch up and never look back. It’s found a place in a few modern decks, and even sees play in a Legacy deck or two which means it will have a solid eternal life going forward. I don’t know if it would be worth waiting for it to drop anymore. I don’t think it will go much lower than $15, and the drawbacks of waiting far outweigh picking it up now. Aside from tokens, Secure the Wastes seems like it could really take off in standard as a sideboard card or something as a 2-3 of in a deck. At $2.25 each you’re not losing out spending less than $10 on a playset. I don’t know if it will make much movement this summer, but I could see it up to $4 by the end of the year depending on how white decks do. I think it’s time will come after rotation so get them now while they are at their cheapest. I was wrong last time about this card, but I think it’s a good card to have going into rotation. I’m not sure you need a playset, but I think you should have at least 3 on hand. Once Stormbreath Dragon rotates in a few months, the Rocs will be able to fly in somewhat friendlier skies. It’s just under $3 at the moment, but I expect it to see slightly more play by rotation so it wouldn’t hurt to have a few in your collection. I also kind of like Soulfire Grand Master at $8.50, but I think it has another dollar or two do drop before bottoming out. I wouldn’t pick it up right at this moment, but I’d keep an eye on it and grab a playset if they hit $6-7. As for cards to sell, I don’t really see anything worth selling at the moment. 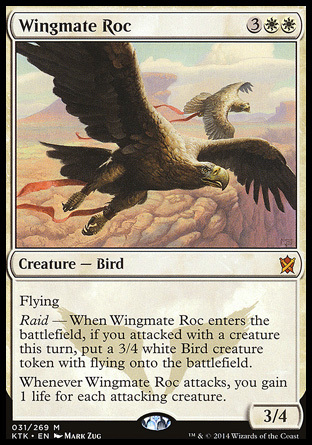 Theros card prices have cratered, and white isn’t too popular outside of Abzan colors it seems. 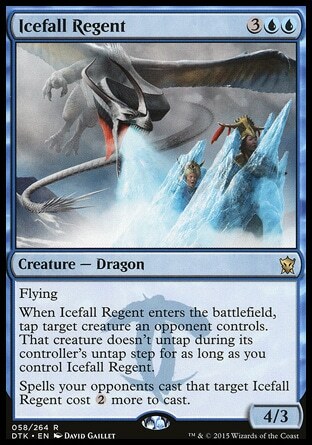 Icefall Regent saw some play in mono blue dragon control decks for a while there, but that was about it. It never really found a home so it didn’t take off. 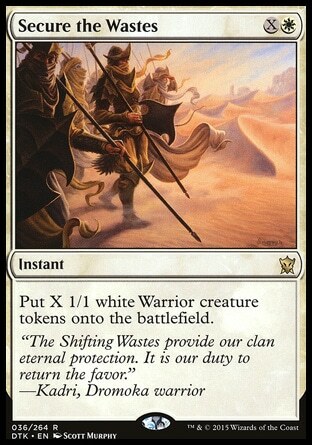 However, I think this $1.50 card could have a breakout by the time Battle For Zendikar is release. I don’t expect it to become a staple or anything, but I think it has a good chance of becoming a 3 or 4 of in a specific deck. I picked up a playset on Puca Trade for about this price and feel good about it. 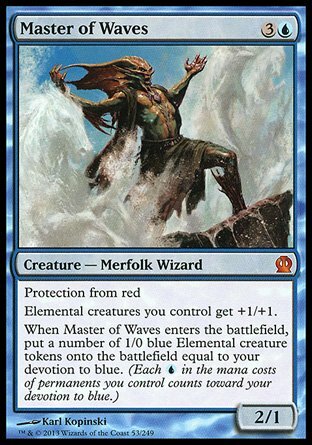 I was right about selling Master of Waves last time, but now I’m thinking it will become a good card in Modern Merfolk. It’s $4 now and just MIGHT reach $3 before rotation, but I think this card will gradually go up in price after it’s gone from standard. Get a playset and sit on it. I’m sure it will double in value by the end of the year. I propose to buy it last time, and I’m considering doing it again as well. It seems like the new Jace planeswalker has become pretty popular, and the Siege seems like a card that has good synergy with him. Filling up your graveyard with this could flip Jace on turn 4 and then allow you to start flashing back whatever you decide to throw away. I also like the Dragons affect. It’s a great defensive spell against Black and Red. Only $.50, so get a playset and stuff it in a binder for its time. Just for the heck of it, I’m going to recommend picking up a playset of Torrent Elemental at $1 each as well. Seems like a card with a unique effect that might combo well with something later. Nothing else really catches my eye from blue at the moment, and just with white, there really isn’t anything worth selling. The metagame is so big that there isn’t anything that can make you a lot of money. I guess if you could find any other mythics for under $2 they might be worth picking up too (looking at you Clever Impersonator). Yeah, I’m playing it safe this time and just choosing cards based on their playability and possibility of becoming a 4-of in a deck, and that’s mostly because that’s what MTG Finance in standard as become. Without a clear deck as winner that everybody wants to play, there hasn’t been a huge push for certain cards. It’s safer to hedge your bets by getting cheap staple/unique cards now that could see play rather than be too late. With the amount of extra puca trade points I have floating around, I wouldn’t feel too bad spending 1000 pts to finish off playsets and be prepared for rotation. That does it for today’s article on blue and white. What do you think? Are there cards that you think can be sleepers that I didn’t mention? If so, why? Please feel free to leave your comments below. Tomorrow is a busy day for me with some Legacy in the evening, but by Friday I plan to have the next article detailing black and red out. Hope to see you then! I would be cautious about anafenza because she is in the clash pack which is very popular and underpriced so there will be a lot extra of her around so she would take a long time to go up if you are waiting on value. I have seen a couple of your picks being played at the PT (ensoul artifact + wingmate roc) already.